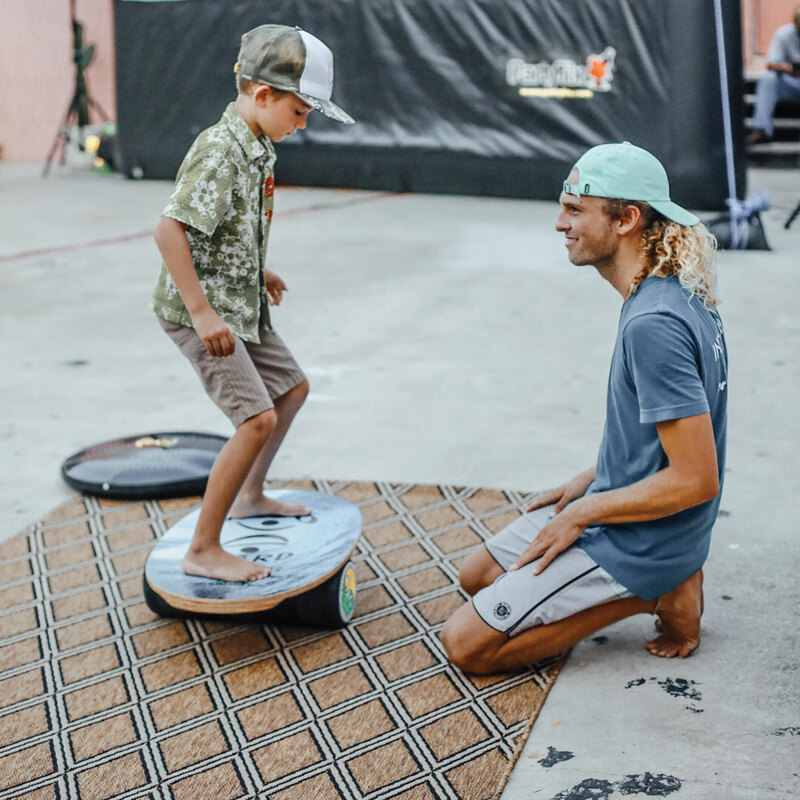 An Indo Board Valentine’s Day Special, Body and Mind Conference, Camp Shred, Core Rotation Specialist Brandon Glade, SURF EXPO, Featured Workout, Featured Trick Video, SUP with Brand Ambassador Evelyn O’Doherty, Welcome New Team Rider Keaton Billings, and the Ginormous Indo Board. May the new year prove to be a positive and healthy one for you. And may love and balance be yours. We’re very excited! On February 23 – 25th, we’ll be at B.A.M., Body and Mind Fitness Conference in Chico, California. 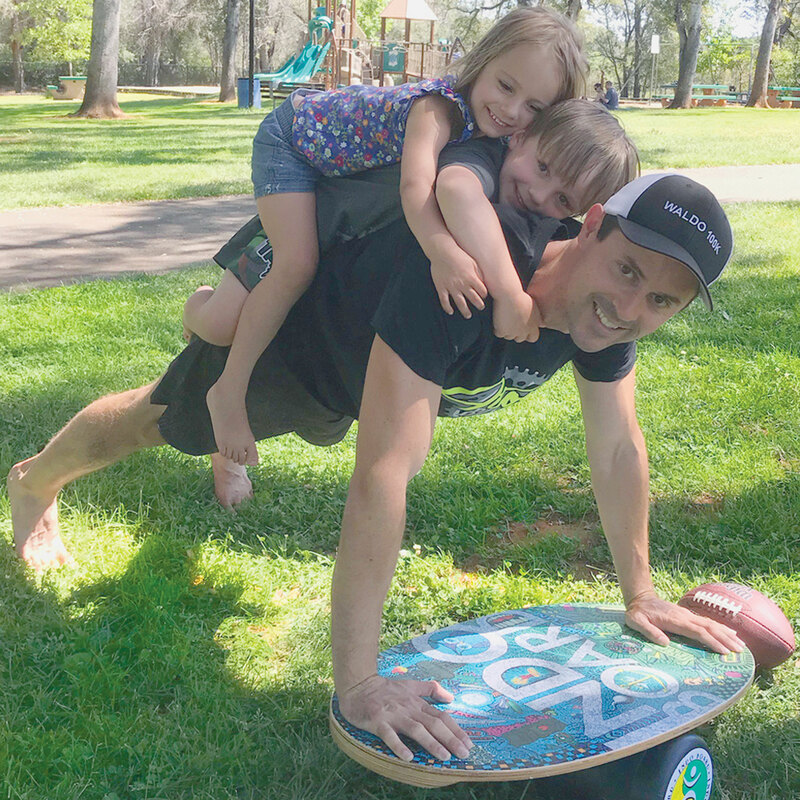 If you can, come learn fun exercises with Indo Board President, Hunter Joslin, Brand Ambassador, Bryan Twardus, owner of the Auburn Fit, and Brand Ambassador, Carol Shankland! Hope you can come! On that same weekend, Indo Board will also be in southern California on February 24 – 25 at Camp Shred! If you can, come see Indo Board VP, Chip Martoccia, and team rider, Calvin Martoccia, at Camp Shred at the San Elijo Campground in Cardiff, California! Camp Shred is the largest surf demo in the world. Let Chip help you fine-tune your surfing posture on the Indo Board, and you’ll discover that you’ll be riding waves for longer periods of time on your next surf session. February symbolizes Valentine’s Day! 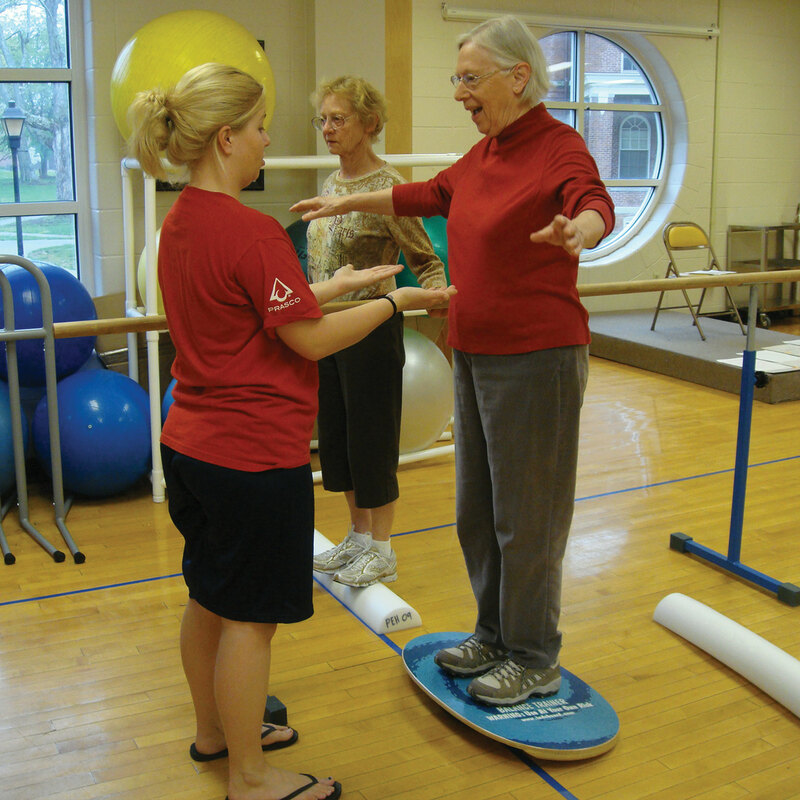 Give the love of your life the gift of balance! Get 10% Off any Indo Rocker Natural combination. Meanwhile, here’s a bit of Valentine’s Day inspiration for you in this fun video clip. How many of these tethered ball slams will you do like fitness professional, Brandon Glade? Have fun with this challenge. Click his image to see his incredible. It’s Free The Feet Workout Week! How many squats will you do today with bare feet? Challenge, Indoboarders! How many tricks can you put together without your Indo Board touching the ground? Team rider and pro flyboarder, Connor Brondes, takes it up a few notches at Surf Expo! Welcome new team rider, Keaton Billings! Challenge, Indo Board athletes! Do your Rubics Cube and Indo Board at the same time like Keaton Billings, and then play your ukulele like team rider Connor Brondes! If you can, come join Indo Board Brand Ambassador and team rider, Evelyn O’Doherty, and Marc Angelillo in Puerto Rico, April 10-15 for SUP Surfing skills and drills for performance and technique! For more information, click the photo. Lastly, Team Rider, Connor Brondes gets INDO IT on the world’s largest Indo Board with Hunter Joslin. Click here to sign up for the Indo Board Newsletter. Georgette Akai Austria is the writer of the Indo Board Monthly Newsletter and is the Director of Social Media and Sponsorship at Indo Board Balance Trainer. She hates talking about herself in third-person, and what she really likes to do is just go surf. Most of all, she thanks you for signing up for the email list so that you, too, can receive the monthly newsletter. If you haven’t yet, sign up for the monthly newsletter! Find Georgette on her Facebook page here. Happy and Healthy ❤ February to you!